Who Is ElectroCoat Electrostatic Painting? 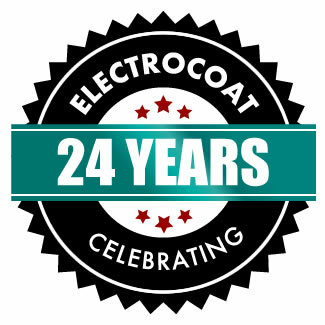 ElectroCoat was established in 1994. We began primarily with an emphasis on school locker refurbishing. Over the years we have taken on many varied electrostatic painting jobs in numerous states and in numerous other fields. Our company is family-owned and operated for over 24 years. We have teams of skilled refinishers that can complete virtually any commercial, industrial or residential metal refinishing task. ElectroCoat’s on-site electrostatic painting process gives you an effective and affordable alternative to the costly process of replacement. We are fully insured! Our coverage includes General Liability, Auto Liability, Excess/Umbrella Liability, and Worker’s Compensation. Certificates of Insurance are readily available to our customers. Whether you are a facility’s manager, C.E.O., a building maintenance supervisor, architect, office manager, small business owner, homeowner or an interior designer, we can help you. We never rush a commercial, industrial or residential painting job. We use top-quality paint and tools to complete your contract to your satisfaction. Our electostatic refinishers leave the jobsite clean. We always stand behind our work and take pride in our painting service as we are invested in ensuring your full satisfaction.